XS is an opulent indoor/outdoor night club unlike any other. Since opening its doors in 2008, XS has remained one of the most popular nightlife destinations on the Las Vegas Strip. 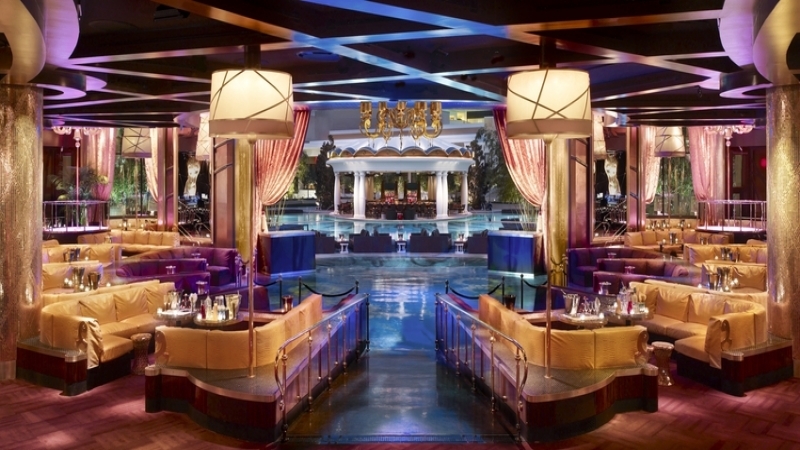 A gilded treasure hidden away at the Encore Las Vegas, XS is an opulent indoor/outdoor night club unlike any other. Since opening its doors in 2008, XS has remained one of the most popular nightlife destinations on the Las Vegas Strip. Once through the ropes, patrons ascend a staircase surrounded by golden molds of women’s bodies, a theme that carries throughout the venue. At the top of the stairs the lavish indoor portion of the club can be seen all at once, making for a truly spectacular entrance. The outdoor pool and patio area can be seen beyond the grandiose DJ booth. XS has 2 indoor bars, one on either side of the central dance floor, so even when weather does not permit the outdoor bars to be open patrons are never waiting long for a drink. The dance floor quickly comes alive each night, as the rest of the club seamlessly surges with energy as the night progresses. Every night XS opens its doors becomes a night filled with energy, beautiful people, and a high-caliber night club experience that Las Vegas is known for. Check out our Events Calendar and see what’s happening at XS Nightclub Las Vegas and view the Dress Code!